Join one of New England’s largest teams of skilled and dedicated lawn care professionals! 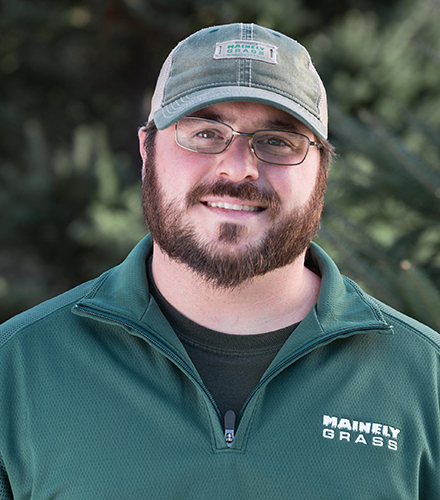 At Mainely Grass, we pride ourselves on our values of Quality, Customer Service, and Education. We use the absolute best products the industry has to offer, only trained, licensed technicians perform services on customer properties, and our satisfaction guarantee means that we won’t stop until the customer is happy with our service. We believe strongly in supporting those who support our customers. All team members – regardless of their position – have access to Health Insurance, Dental Insurance, Short Term and Long Term Disability Insurance, Paid Time Off, and a 401(k) Program. Long term success in our organization requires a commitment to training and development, a team-oriented attitude, communication, and collaboration. Have what it takes to join the team? Check out the available positions below! Mainely Grass is currently looking for lawn technicians! Do you enjoy working outside, helping customers, and seeing the results of your hard work? Then a career as a lawn technician at Mainely Grass is for you! You will be outfitted with a full company uniform and provided the latest in industry technology and new equipment. We’ve incorporated tablet computers, GPS, computer-aided routing, and training programs to ensure that you have what it takes to provide a best-in-class service. Don’t have an applicators license? Don’t worry! We will help you study for and pass the test to earn your license. If this sounds interesting to you, let’s talk. Just complete the application form on this page and we will be in touch shortly.